A 60th Birthday! Wish them the best with this spectacular bouquet. See the note below for availability for other special age birthdays. NOTE: This bouquet can be designed into the specific age you desire, 30, 40, 50 ... etc. 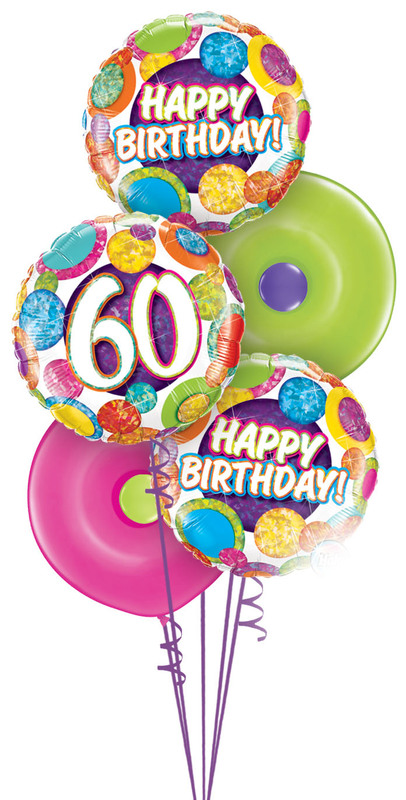 We have personalized balloons for the not as popular birthdays, ie. 29, etc. Foil balloons may not be exactly as shown.